Last January, I wrote down all the things I hope to accomplish in 2010. Now, it’s June, and I wanted to see how well I’ve been holding up my New Year’s resolutions. I will get over my broken heart. Easier said than done; I never was one to easily let go of people, let alone my longest, most serious relationship to date. I can still remember the night I realized that I had fallen out of love. It was a school night, a hot and sticky night. I was lying in bed when all of a sudden, my ex-boyfriend texted me. We got to talking, and halfway through our conversation I realized that I was bored. My heart wasn’t pounding hard, I wasn’t reminiscing of the good times we had—I was actually really, completely, totally bored with the conversation. I had cried rivers of tears. My pillow had seen so many sleepless nights. The heartbreak felt like it would never end. It was the most ecstatic feeling to know that I had overcome that. Aaaaah, every student’s New Year’s resolution! Unfortunately, one I could not keep. 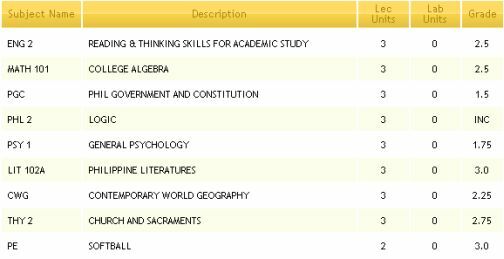 In the last semester of my first year in college, I got the lowest grades I have ever received in my whole life. The first thing I thought of was my family and their reactions. Despite being the black sheep from time to time, I love my family and hate to disappoint them. My poor academic performance will most certainly not be a cause for their celebration. I’d like to say I have accomplished this, but my friends might think otherwise, so… Can anyone testify to this? Every single year, I say this. Needless to say, I have failed dismally. I hate this resolution! Oh, well. Two out of four is pretty good—at least for me.